Halloween is one of my favorite times of the year, because it means the holidays are here and I seriously love the holidays! Coupons.com is a great place to turn to for celebrating holidays. 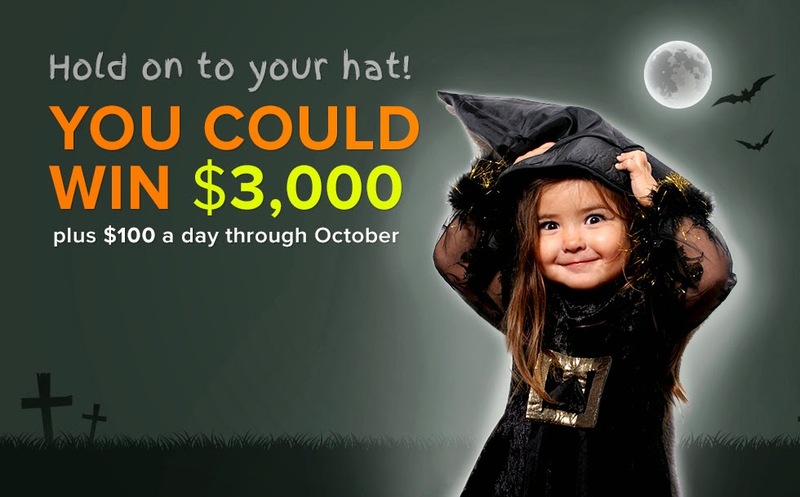 The Coupons.com Halloween Creepstakes gives you the chance to win $100 in daily prize giveaways and a $3,000 grand prize. It ends October 31. Its a super fun opportunity, and it really gets you in the Halloween spirit! I'll be working on Halloween, so I put together a fun Halloween outfit inspiration board for what I can wear on that day. Even if you aren't wearing a costume and you still want to look chic you can show off your Halloween spirit. These looks also work for any Halloween type of activities, like going to the pumpkin patch or Haunted House too. Coupons.com has an online magazine too that can help you with some inspiration. There are tons of Halloween ideas on The Good Stuff so you can really plan out your holidays the best way possible!